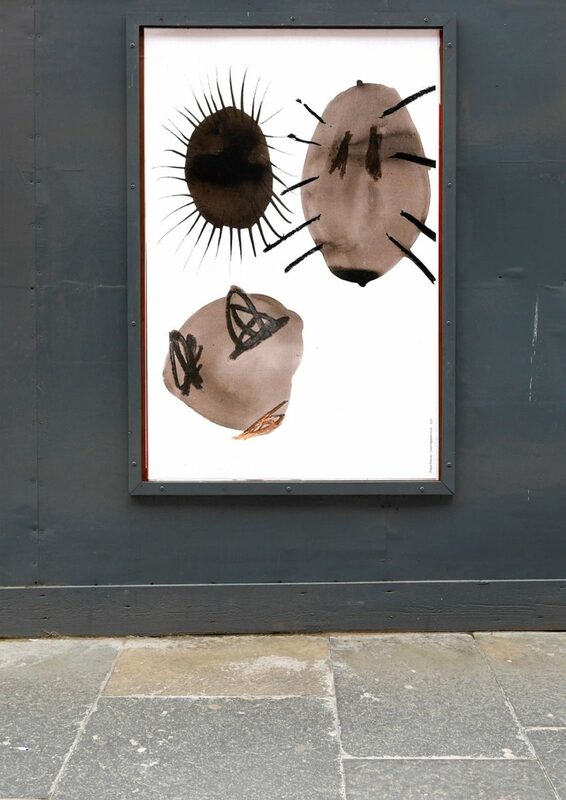 Throughout October, November and beginning December 2017, a set of 10 posters by Megan Rooney populated key city centre sites in Glasgow. 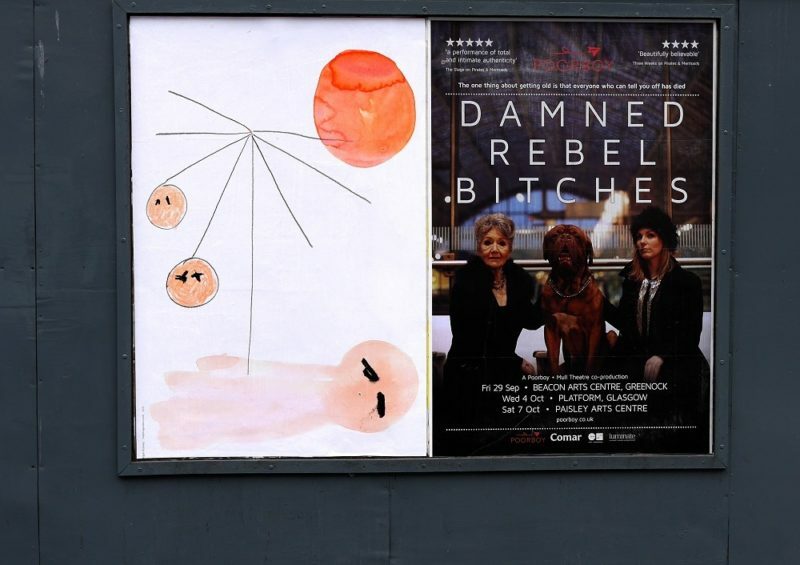 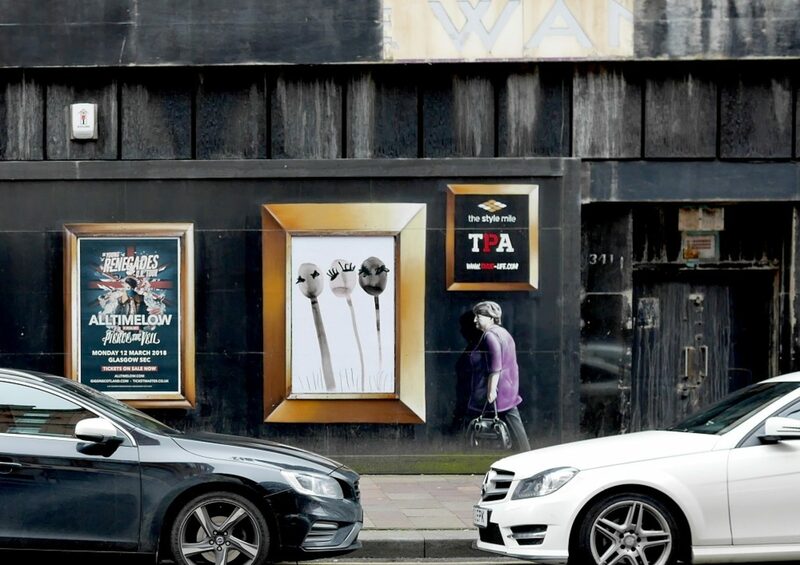 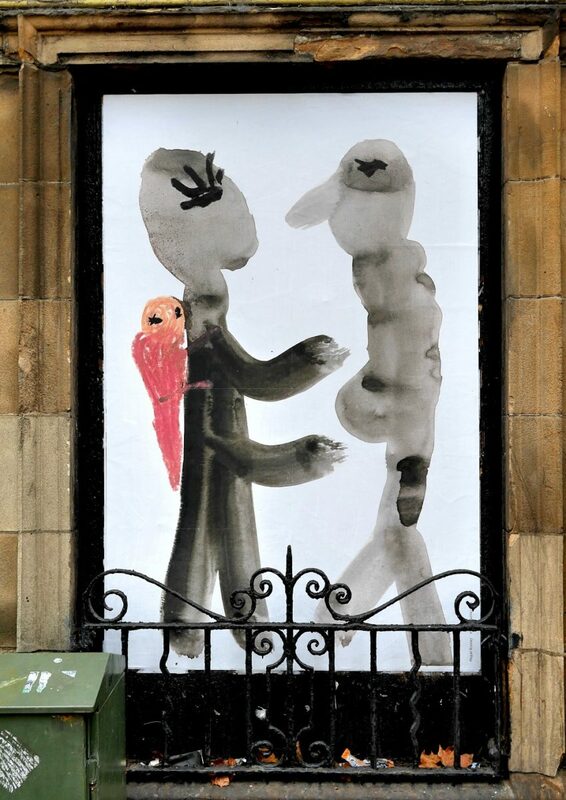 Juxtaposed with commercial event posters, they inserted a theatre of strange characters into street life, stimulating comment and in some cases, graffiti. 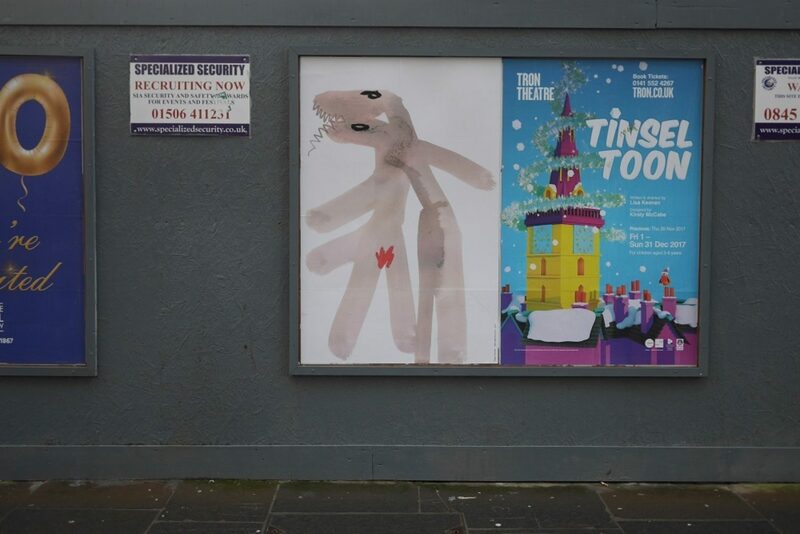 The posters formed one segment of the larger year long project, commissioned by MAP, which included Out the Mouth, a reading event at Cove Park, Argyll, MOMMA! 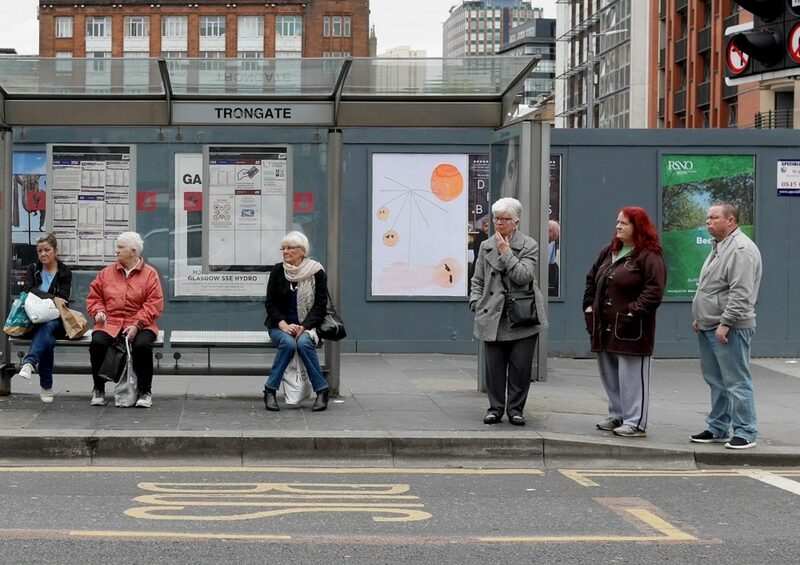 MOMMA!, a solo exhibition at Tramway and a new performance premiered at Tramway under the lead project title Others got wings for flying (see related entries in this issue of MAP).